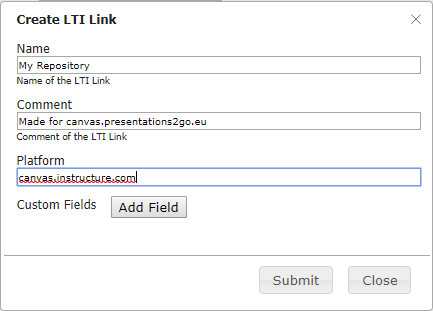 You can setup a LTI connection for each Presentations2Go group. The content available for the group plus all content available for anonymous and authenticated users (system groups) will be selectable via the LTI connection. To setup a connection you need a LTI key pair. 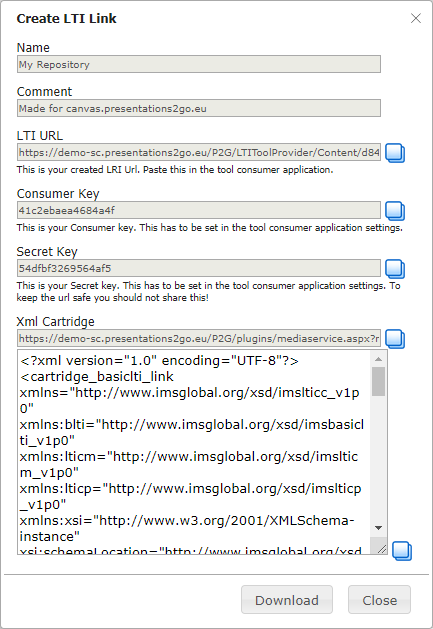 The Presentations2Go administrator can create and download such a keypair file from User management | Groups. The first time you will see Get LTI pair. 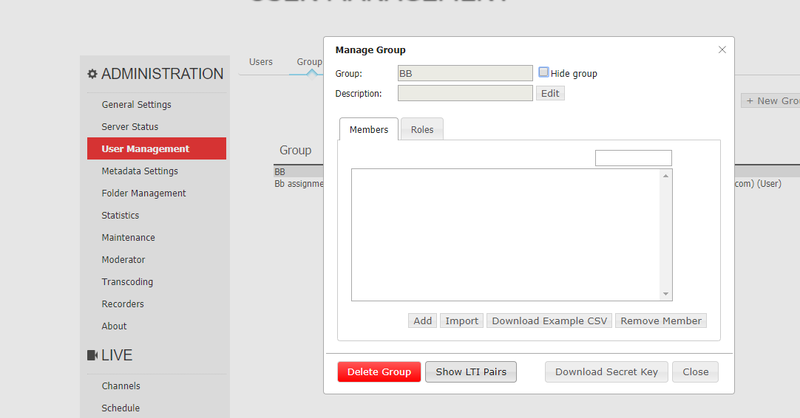 But as soon as you have created one for a group you will see the Show LTI pairs button. To create a new pair you need to give it some metadata. After you created a new pair, you can download all settings in one txt file or copy the individual settings.